The single-family house is situated in sloping terrain in Fana, not far from Bergen. 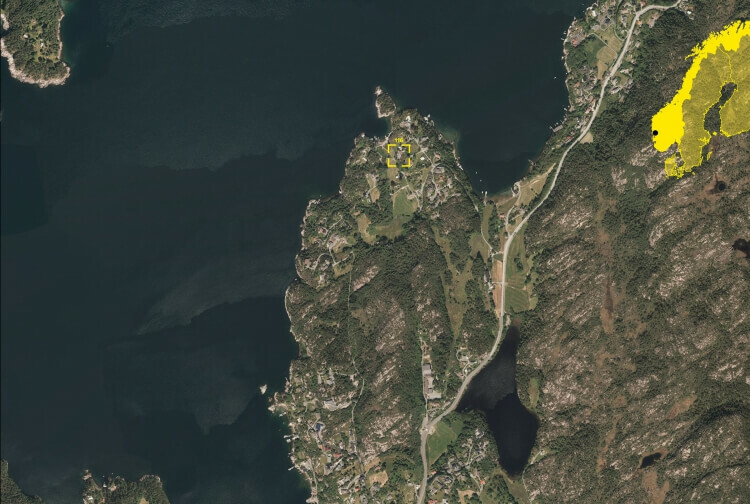 It offers great views over the Fana fjord and lies embedded in a green, idyllic landscape. The new volume with two floors contrasts the original hut on the plot that was transformed to give space for a family of five. Open floor plans and several terraces make the most of the steep terrain and the great views.